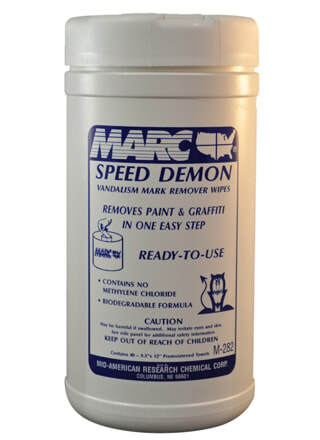 These wipes remove paint and graffiti in one easy step. Low odor, nonflammable, nonhazardous and biodegradable formula. Contains no methylene chloride. Packaged in a convenient canister.